Is your organization already GDPR proof? Are you looking for this GDPR Readiness Assessment Checklist to make a comparison between IST and SOLL situation for your company? The purpose of this questionnaire is for the company to do an assessment on the status of compliance with the main requirements of the new GDPR regulations. Since this questionnaire is not exhaustive, it does not. If the answer to all of the questions below is, "Yes," you might already be compliant with the GDPR. If you answered, "No," to some questions, it will indicate where you need to focus your compliance efforts. 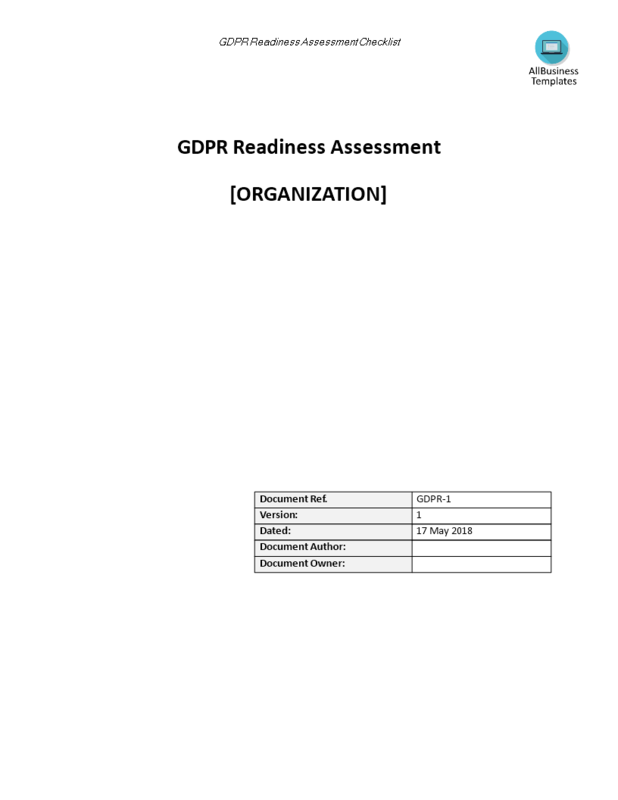 Download this GDPR Readiness Assessment Checklist now or check out our fit-for-purpose GDPR Complete Compliance Kit templates here! The document(s) will be available to download immediately after purchase.